So there's this marching band playing their hearts out in front of a fairly large crowd. They've probably practiced real hard for their routine. 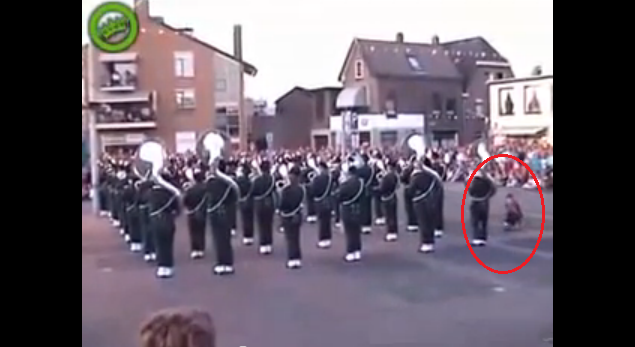 While performing, a kid out of nowhere runs across the marching band. Pissed, one of the band members decided to do something about it to teach the kid a hard lesson.